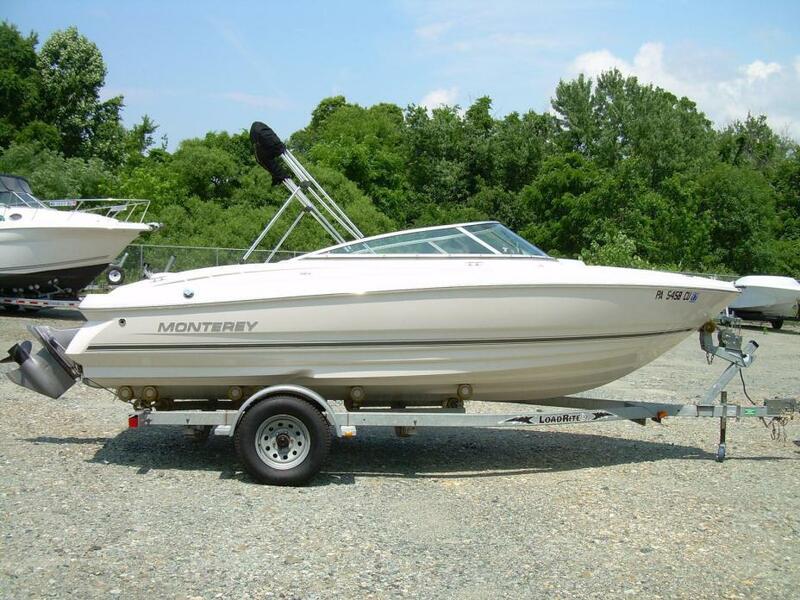 2008 Monterey 194 FS Bowrider Amazing... Clean, 1 Owner.. Need we say more! 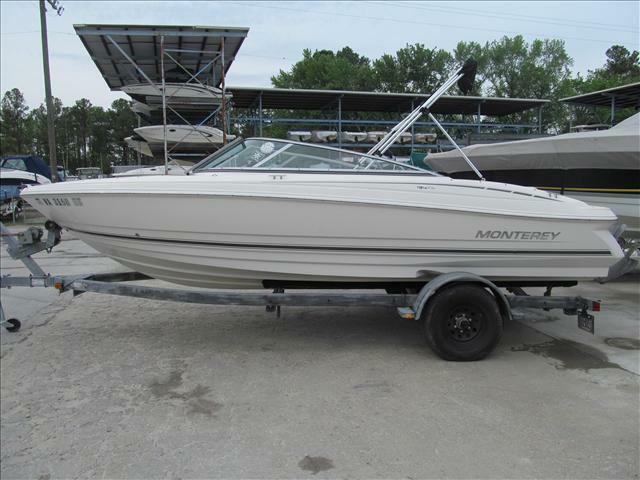 This 2008 Monterey 194FS is super Sweet with just 33 Actual Hours!! 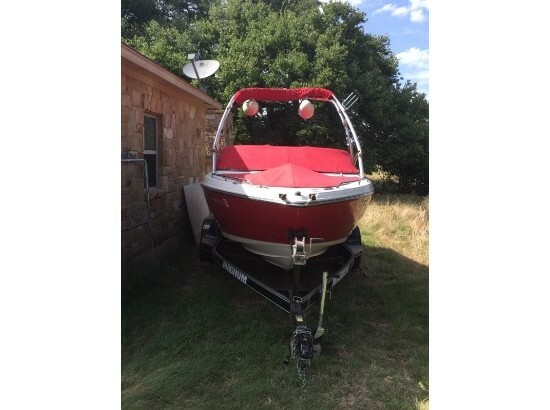 Featuring a 4.3l TKS, Full Windshield, Swim platform.... Rare boat to find in this condition.. Marine certified and ready for the water! We take trades and have Sweet Financing!! Call or email Denny to schedule a private showing. 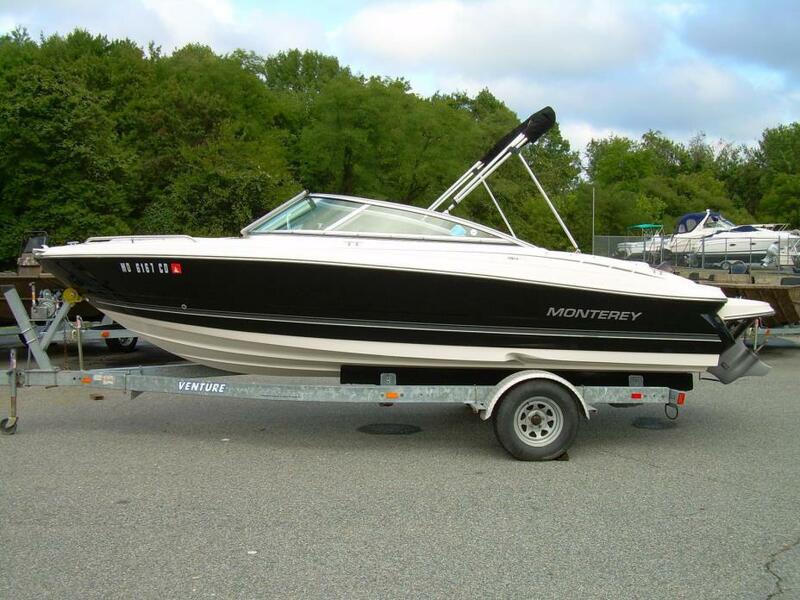 2007 Monterey 194FS 2007 Monterey 194FS IN STOCK (US-D144B) MONTEREY 194FS W/260HP & CUSTOM TRAILER...AUGUST SALE PRICE 25,995 RICHLAND STOREJUST IN TRADE FROM GULL LAKE CUSTOMER. 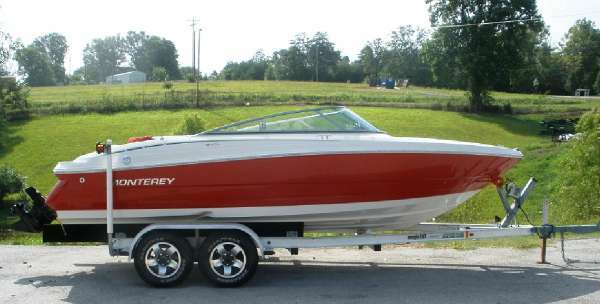 VERY WELL CARED FOR MONTEREY 194FS MODEL LOADED WITH OPTIONS AND MAXED OUT POWER OF 260HP V8 ENGINE, THE MOST POWERFULL ENGINE AVAILABLE. 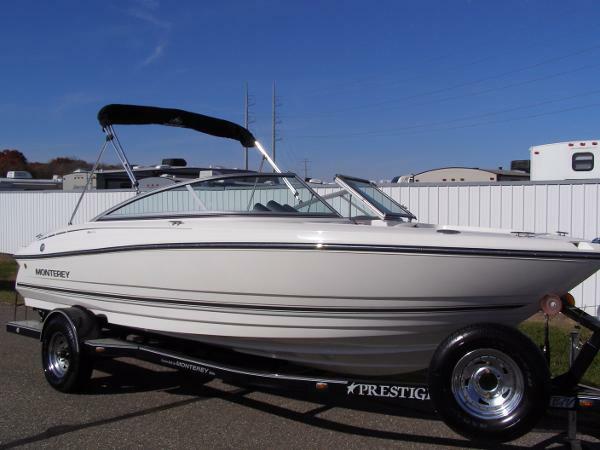 SALE PRICED AT $25,995..COMPARE TO NEW ONES OF $45,000Featured at our Gull Lake Store.One of our most popular Monterey models ever, the 194FS has more room, more performance, and more style than just about any other boat in it's class. 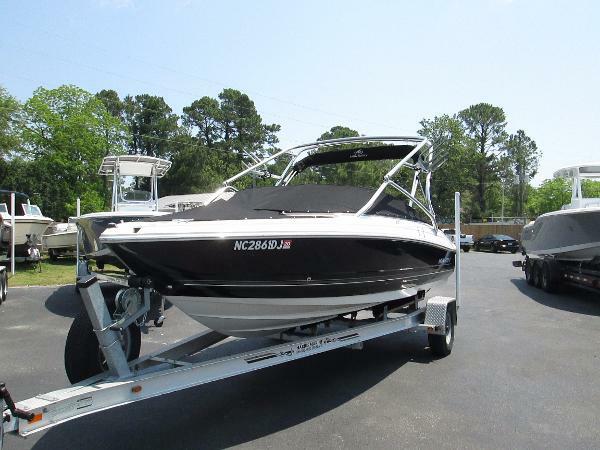 This boat is extremely well appointed with premium seating package, walk out stern, extended swim deck, ss pkg, removable flooring and so many more features. 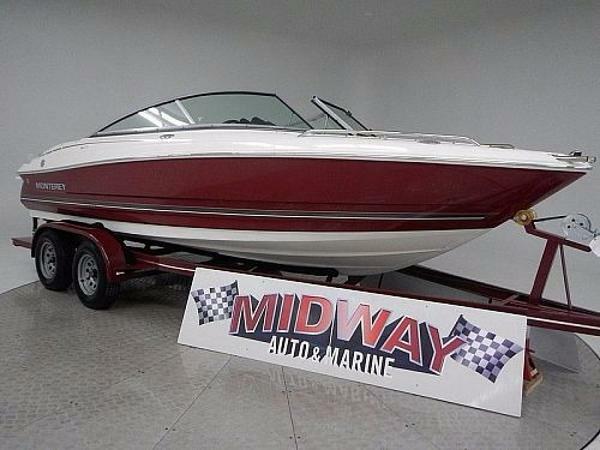 Only 180 hours old, sold & serviced by GULL LAKE MARINE since day one. always stored inside. Trailer is a newer model taken from a Monterey 204FS which is the same hull. 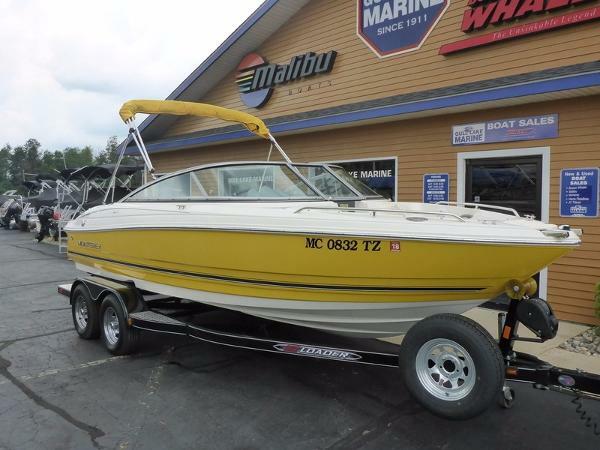 Way nicer boat with features and performance beyond Sea Ray, Four Winns, and other models in class.Features & Options Included.2007 MONTEREY 194 FS BOWRIDER YELLOW/WHITE GELCOAT WW SS AND FAST TAB HULL DESIGNMERCRUISER 5.0MPI VORTEC ENGINE 260HP W/ALPHA ONE GEN IV DRIVECUSTOM TANDEM TRAILER W/BRAKES AND SWING TOUNGUE FEATURE, DIAMOND STEP PLATESEXTENDED SWIM DECK W/LADDER OPTIONBIMINI TOPSTEREO SYSTEMPREMIUM CAPTAINS CHAIRS W/FLIP UP BOLSTERSREMOVABLE MARINE GRADE CARPETSS PACKAGEBOW BOARDING LADDERTILT WHEELAll set to go for some great family fun. 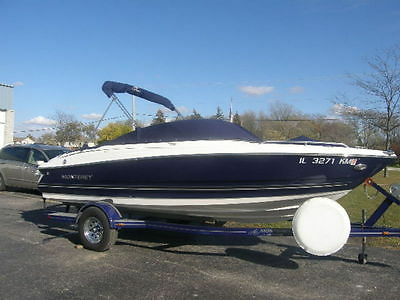 Call for full listing, boat is available for on-water demo, trades OK, financing offered. 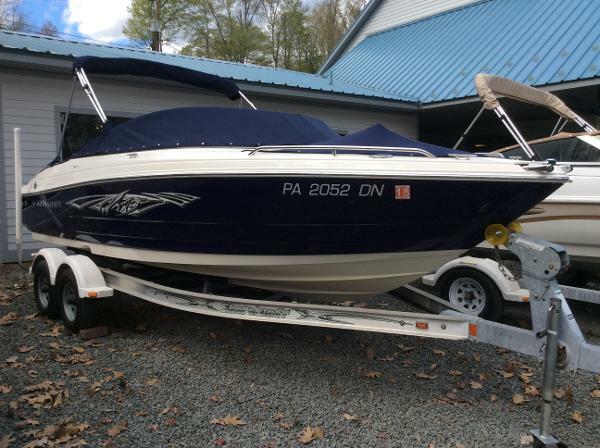 boat slip on Gull Lake Available. 2010 Monterey 194 FSVolvo Penta 4.3 GXI(Fuel Injected 114 Hours)Heritage Custom Trailer with Brakes Features/Options included:Bow & Cockpit CoverTrailer has Swing Tongue, Spare Tire, Brakes, & Chrome WheelsDual Battery w/ SwitchSnap-In CarpetBimini TopStainless OEM Volvo PropKeel & Skeg GuardUnder Water LightsCustom SpeakersStainless Steel Pkg. 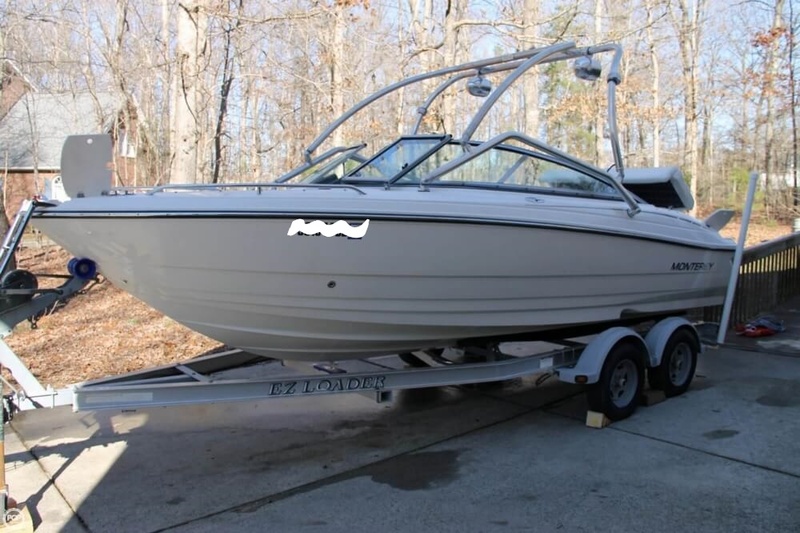 ( Bow Boarding Ladder, SS Handrails, SS Cup holders)Dock lightsStern & Helm Mounted Stereo RemotesRear Filler CushionsTilt SteeringFlip Up Bolster SeatsOnly 114 Hours!!!! 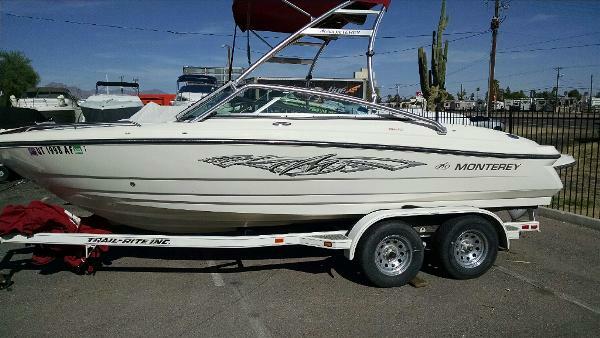 Boat is in EXCELLENT CONDITION!! 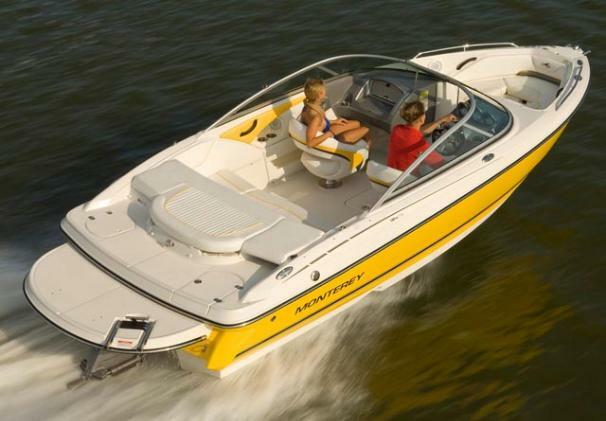 !We will go through boat with you and run engine at time of pick-up Call Water Werks Boats of Country Club Hills, IL at 1-708-798-9700 -Financing is available. Please contact us prior to purchasing.-Shipping: We have delivery options available for an additional charge. U-Ship is a great resource for shipping as well. -Tax: Illinois residents pay 7.25%-9.50% depending on the county you live in. Illinois residents must also pay $395 for registration and license. 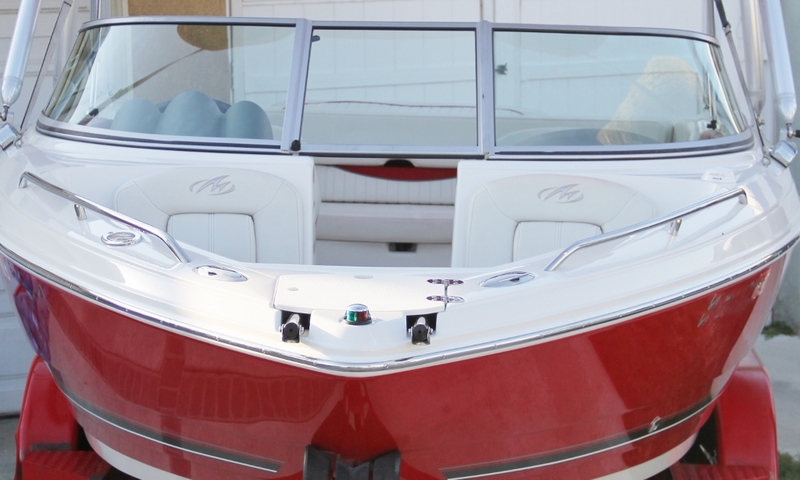 Out of state buyers: All out of state buyers pay 7.25% tax if boat is picked up at our facility, which is reciprocal. If a transportation company is picking up the boat, they must provide a bill of lading and tax is paid where you live.